In the Drive, Chip & Putt Championship for Junior golfers, the participants will hit 3 chip shots to test their skill with the Wedge. 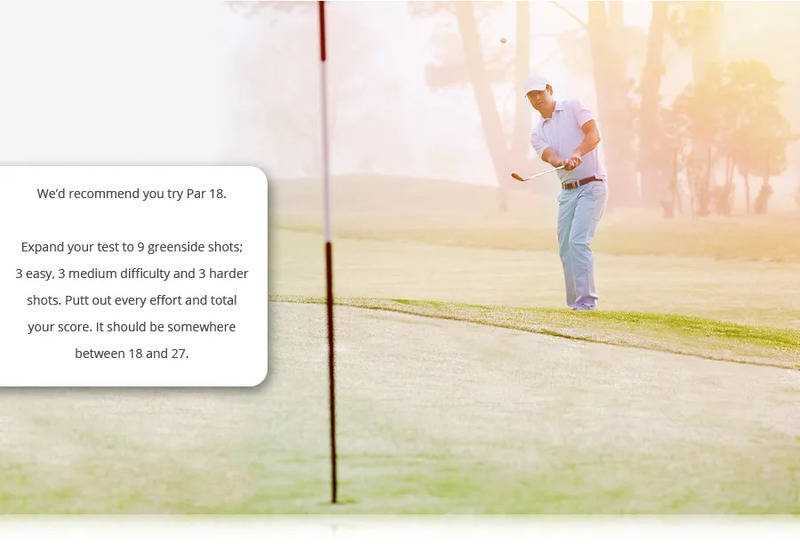 If you want to copy this competition and scoring format, visit the website, www.drivechipandputt.com/rules, and select ‘Scoring / Competing’ from the menu on the left. Easy: 3 greenside chip shots from different locations, none of which are less than 10 yards from the hole. Medium: 2 greenside bunker shots, and 1 short 20-yard pitch shot. Hard: 1 lob shot over a bunker, 1 longer bunker shot, 1 40-yard pitch shot. This is actually a great competition to play amongst friends on a quick trip down to the club. It beats running on a treadmill after work or before work, so try and fit this sort of fun practice into your schedule. If you’re looking to lower the numbers on your scorecard you would be amazed at how many shots we can take off a 15 – 24 handicap golfer’s score, and how quickly we can do it. Contact us now.